Golden-180 is Double Hopper Auto Flip Banknote Counter Machine. This Banknote Counter machine can two method place currency stack, place currency stack face down evenly on front feeder plate, or place currency stack in vertical position on feeder plate. 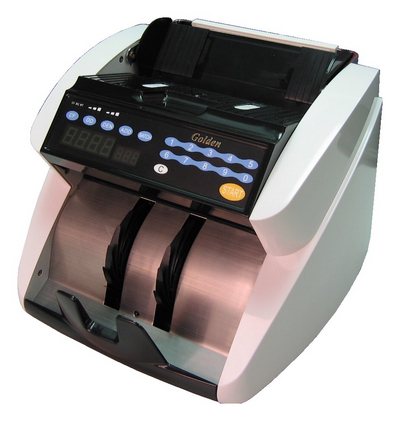 This Banknote Counter Machine have the trendy streamline low noise design, smoother friction roller, the convenience turns on the faceplate, is advantageous for the service maintenance. Trendy streamline low noise design. The convenience turns on the faceplate, is advantageous for the service maintenance.